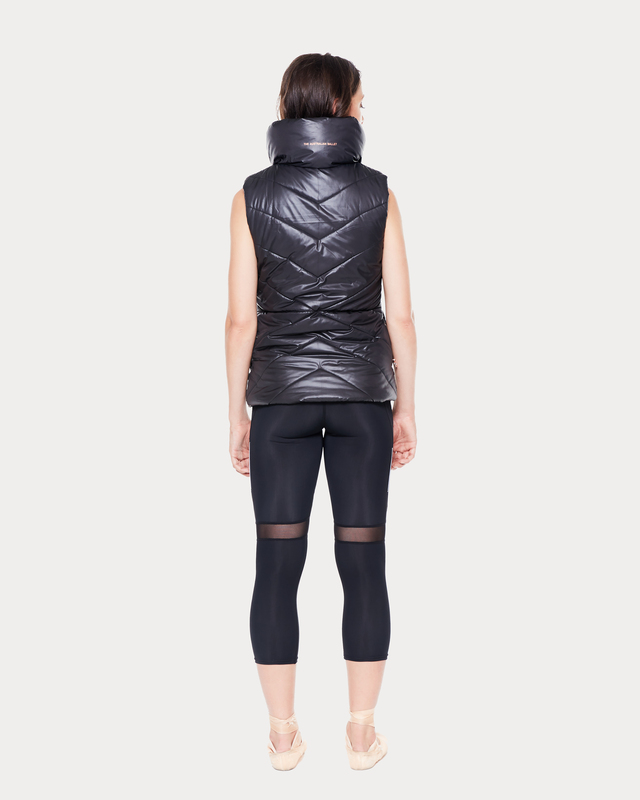 A stunning padded gilet silhouette, featuring linear quilting design and angular zip pockets at the front. 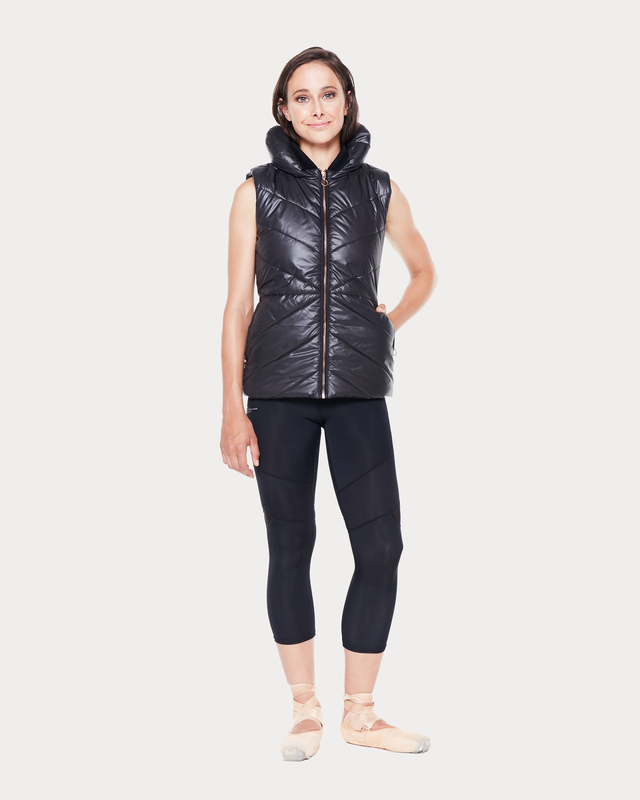 This versatile outerwear piece is perfect for layering over your work-out gear all year round. The large padded collar presents a stunning Rose Gold 'The Australian Ballet' branded logo at the back.